Loumax Gallery, 56a Lovel Street, Katoomba. These drawings are absolutely beautiful and give a true feeling of the Australian bush and Blue Mountains. Makes me feel quite homesick! Good luck with your exhibition! I saw Meredith’s exhibition yesterday. 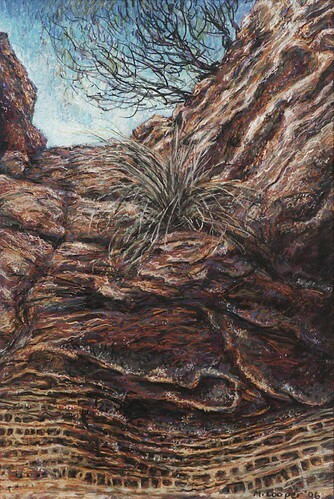 Her work is not only incredibly accomplished technically but gives the viewer a very pure, deep connection to the places depicted. I wish her every success.